Photo Credit: Bite Me Charter Fishing. 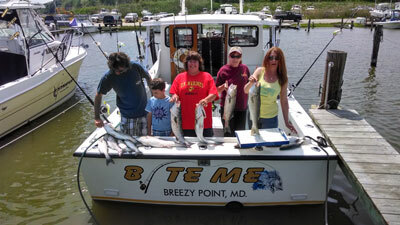 Expect a pleasant outing on the scenic Chesapeake trolling for rockfish, chumming, or bottom fishing. Max charter size is 6 people.